Ukrainian President Petro Poroshenko and his Lithuanian counterpart Dalia Grybauskaitė met on Friday to discuss bilateral cooperation, Poroshenko's press service said. The two leaders agreed to deepen economic and investment partnership between the two countries, and enhance collaboration in security, energy and cybersecurity. 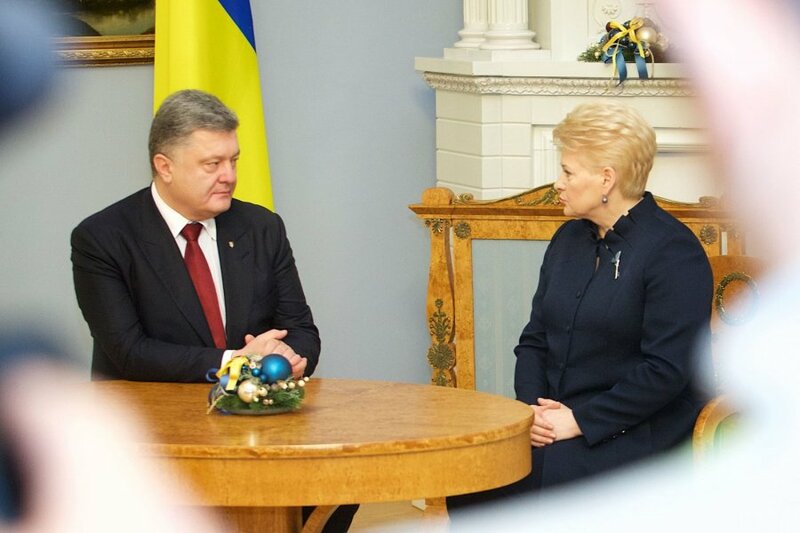 During the meeting, Poroshenko and Grybauskaitė signed an array of bilateral agreements, including a roadmap for the development of strategic partnership between Ukraine and Lithuania for 2019-2020. An agreement on employment and labor migration was signed in the presence of the two presidents. The document is aimed at ensuring social guarantees for Ukrainian workers in Lithuania and Lithuanian workers in Ukraine. Grybauskaitė arrived in Kiev earlier in the day for a working visit.